found this deal on the web so quickly go and get it before the deal ends! Discount code is ANKER3263 from amazon! I had some of these, they were pretty good headphones. Unfortunately I lost them when hanging off the side of the train. Yeah! I love my pair of soundbuds curve! Thanks for sharing... I really like these headphones! Awesome deal. 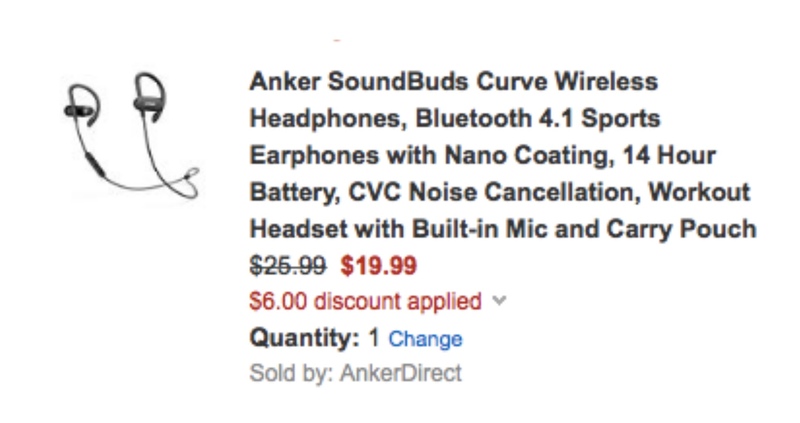 These are one of my fav anker earphones. It checks our all the features including having aptX and 14.5 hr battery life. Sound quality of Curve is AWESOME.